iPhoneartphotograpy contest is now closed. 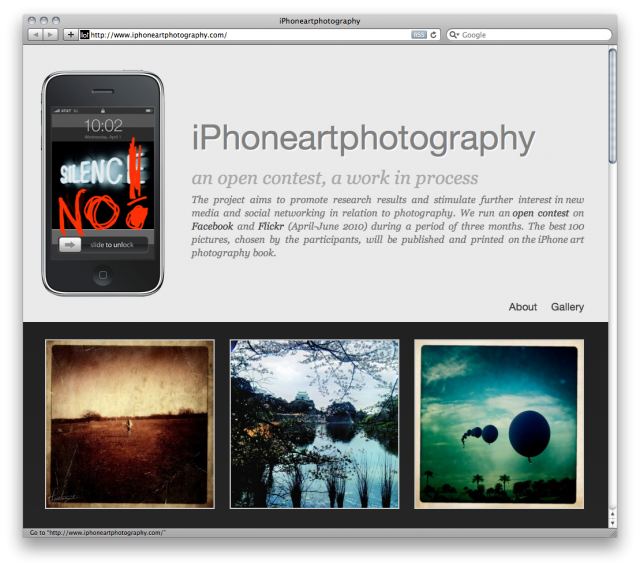 Check out the new website featuring the pictures of the weekly winners: www.iphoneartphotography.com. Is the mobile photography the new (“ad hoc”) instant instument of demonstrating your personality and when yes, why? join the debate! The contest winners and the best 100 pictures will soon become a book! !